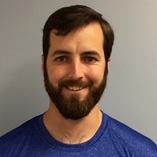 Michael Skelton, an assistant coach at the University of North Carolina at Asheville last year, is the new assistant coach for the Colby College women’s soccer program. Skelton, a native of Conway, N.H., helped UNC-Asheville (8-12 overall) make the Big South Conference quarterfinals, falling to top-seeded Liberty. Skelton, who primarily worked with the forwards, helped senior forward Paige Trent earn second team all-conference accolades, while junior forward Caroline Houser was an honorable mention selection. While in Asheville, Skelton also worked with the Carolina Mountain Soccer Club, training their under-14, under-16, and under-18 girls’ teams. Prior to his work at UNCA, Skelton coached an under-16 boys’ club team for the Mount Washington Valley Soccer Club, and also served as the girls’ varsity soccer head coach at Kennett High School in North Conway for the 2014 and 2015 seasons. In his first year at Kennett, he led the program to the playoffs for the first time in eight years, and followed that up with another playoff berth in his second year. In college, Skelton was an All-American soccer player at Lasell College in Newton, Mass., where he made the dean’s list and earned a bachelor’s of science in communications degree in May 2014 with a dual concentration in sports communication as well as multimedia and web design. Skelton finished his playing career owning a number of school records including single-season goals, single-season points, career goals, and career points. Before his collegiate career, Skelton spent time playing semi-professional soccer in England.